AMD won’t necessarily be sticking resolutely to the ultra-expensive high bandwidth memory for its next-gen graphics architecture, Navi, contrary to some rumours we’ve heard around the Computex show this week . 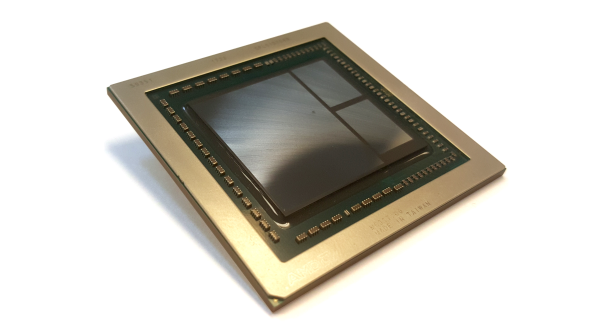 AMD’s graphics architecture is scalable, flexible, and can work with both HBM2 and GDDR6. We had the opportunity to sit down with David Wang, AMD’s new senior VP of engineering for the Radeon Technologies Group, and Scott Herkelman, VP of Radeon Gaming. We spoke about the pressures of producing the next generation of AMD graphics processors, and whether the expensive implementation of HBM2 made it difficult to realise the company’s ambition for both the increased performance-per-Watt and the increased performance-per-dollar of the next-gen AMD Navi GPUs. It’s potentially still a while off now, so here are the best GPUs you can buy today. At the high-end then it seems AMD is sticking with HBM2, which makes complete sense, but that may well change lower down the tiers of the next-generation GPUs. So, does that mean, as with Nvidia, that the high-end of AMD’s graphics stack – the datacentre, heavily compute-focused cards – remain tied into HBM2, while the gaming cards shift to GDDR6? Not necessarily. “I would say it’s opportunistic,” says Scott Herkelman. “It depends on how we see our roadmap, how we would like to play it out with some of our partners, and the innovations we want to have and what we want to do in the professional space. 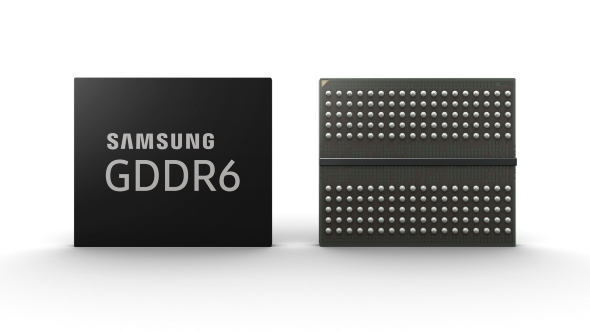 But we are fully committed to HBM and we’re going to be fully committed to GDDR6, and let the best solution win. The thing is it’s not as simple as just a matter of expense for HBM2. The benefits aren’t just based on the performance of the advanced graphics memory, nor are they just based on the energy efficiency of it either. There’s a very definite space advantage to using HBM2 as well. That’s particularly relevant in laptops and, for AMD, most especially in all-in-one systems. Most of you might think of all-in-one machines as those ropey things PC World used to sell to grandmas and unsuspecting folk looking for a PC for the family room. But you might be forgetting the latest Vega-powered iMacs. Technically they’re still professional class devices, not gaming machines, but it goes to show that it’s not just the serious render farms that want HBM2 in their graphics cards. Apple is surely going to be a big driver for AMD’s next-gen GPUs and what they are asked to do with them. And being able to offer Apple – a company that rarely gives any considering to performance-per-dollar metrics – a high-speed GPU that can fit inside a super-slim chassis will surely factor in when AMD comes to decide what segments get HBM2 and which get GDDR6. The other factor David Wang brings up is the supremely volatile nature of memory pricing at the moment, whether we’re talking DRAM or video memory. But, realistically, however the pricing shakes out, when AMD finally comes to replacing the RX 580 and it’s mainstream brethren it has the opportunity to take the decision to fit it with the most relevant, cost-effective video memory on offer. And that’s likely to be GDDR6. It’s going to be a while before we find out, however. 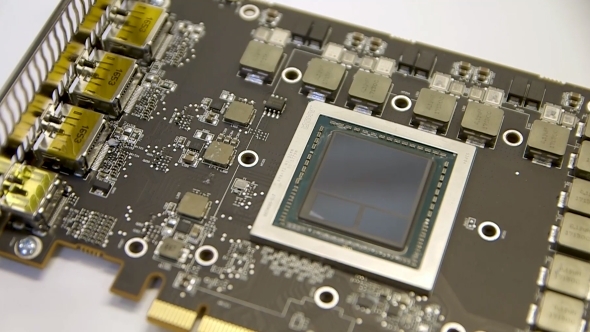 Some rumours around Computex have put AMD’s Navi GPUs as arriving in Q1 of 2019, but there are some sceptics who think a June release more likely. Whatever the truth of it, AMD is remaining fluid on its choice of memory.